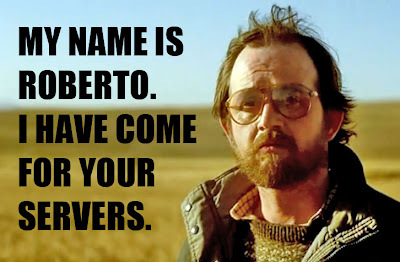 Illogiblog - The Illogicopedia weblog: Damn you Roberto! The aliens... they's a comin' for our servers! Grargh! I can upload the blank picture for this particular macro if you like. It's from the Specsavers ad, incidentally.